I have always loved the 1970’s Fenders with the classic 3-tone sunburst. I guess it started when I first picked up the guitar and fell in love with the big headed Strats but nowadays I’m probably more in to Telecasters, even though they are way to expensive and hard to find. That was the main reason why I put my Claescaster together, to have a Telecaster that looked like late 1970’s Fender but for a lot less money. I actually bought a Tokai Silver Star back in October for the same reason, that I’m completely gay for 1970’s Fender 3-tone sunburst. So when I was down south for Christmas and walked past a small guitar shop in Lorca and saw a 1979 Fender Stratocaster in the window I couldn’t resist. It was the only second hand guitar they had in the whole shop, vintage guitars are really tricky business in the south of Spain since people aren’t really used to pay more money for something old when they can get something brand new for less. The price was ok and I could even live with 1980’s looking Seymour Duncan hot rails, switches and all, and since I really like gold hardware that wasn’t an issue either. The problem was, is it real, is it a US made Fender Stratocaster from the late 1970’s? The man in the shop said yes, the serial number on the head starts with S8, that is 1978, and it says made in the USA under, what more do you need to know? I tried to explain that there are a few other numbers on an old Fender that you have to check to be sure, and that the decal on the head is very easy to fake and stick on yourself. The man would hear none of this, he was sure he knew more about old guitars that this weird foreigner that had just walked in to his shop, on top of that, he really trusted the guy that he was selling it for. I said I had to think about it and left. I went home and started to read everything I could find about late 1970’s Fenders and found this site, Dating Late 1970’s Fender Stratocasters, extremely helpful. I spent the whole Christmas just thinking about the guitar, was it worth it even if I couldn’t know for sure that it was made in 1978, or if it was even a real Fender? On the morning of the 26th we got the seller to travel in to the guitar shop with the original pickups, that was my first demand, if I saw them then hopefully I would be convinced that it was real. When we arrived to the shop the guitar was still there in the window and I was presented with a shoebox with all the original hardware, machine heads, bridge and pickups. 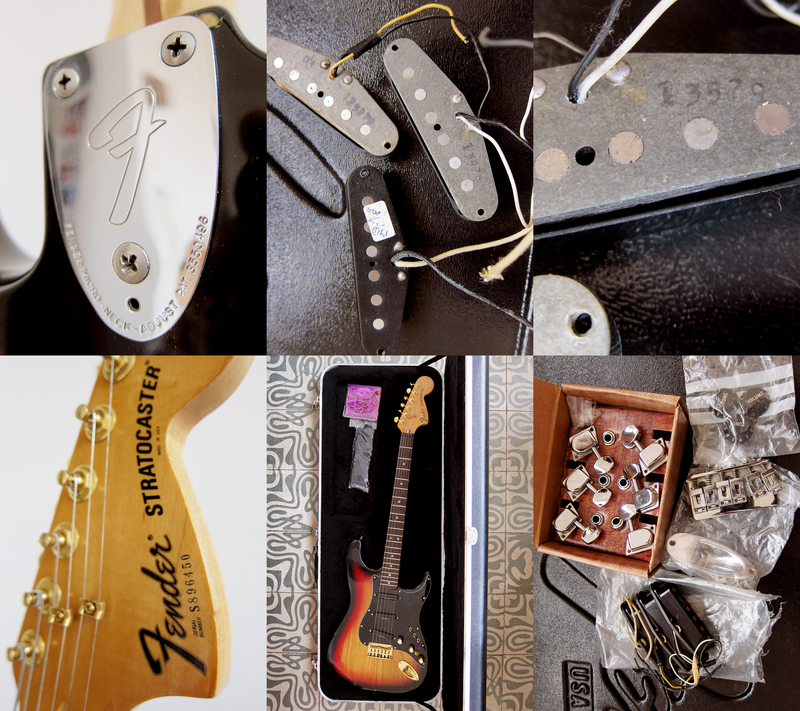 I felt fairly sure that it was the real deal, I mean who would bother to bring in a box with old Fender stamped hardware for a fake guitar? I asked one last time if the old man in the shop had any proof that the guitar was real and he got really annoyed, saying that I could either take it or leave it. I managed to calm him down and explained that it would be a fairly common procedure to take the neck off if you sell old Fenders, or at least show the bottom of the pickguard, especially since there are a few questionable late 1970’s Fenders circulating in Spain that I’m 99% sure weren’t made at the Fullerton plant in the USA. The man just kept saying that it says USA on the head, that means it’s not made in Mexico, I had to explain that they didn’t start to make Fenders in Mexico until 10 years later, after the Fullerton plant had closed down and Fender had moved to Corona. He wasn’t convinced, and neither was I, but after seeing the pickups which pointed at 1979 and seeing the original hardcase which is the type Fender introduced in 1979 I felt that it was close enough, and bought it. 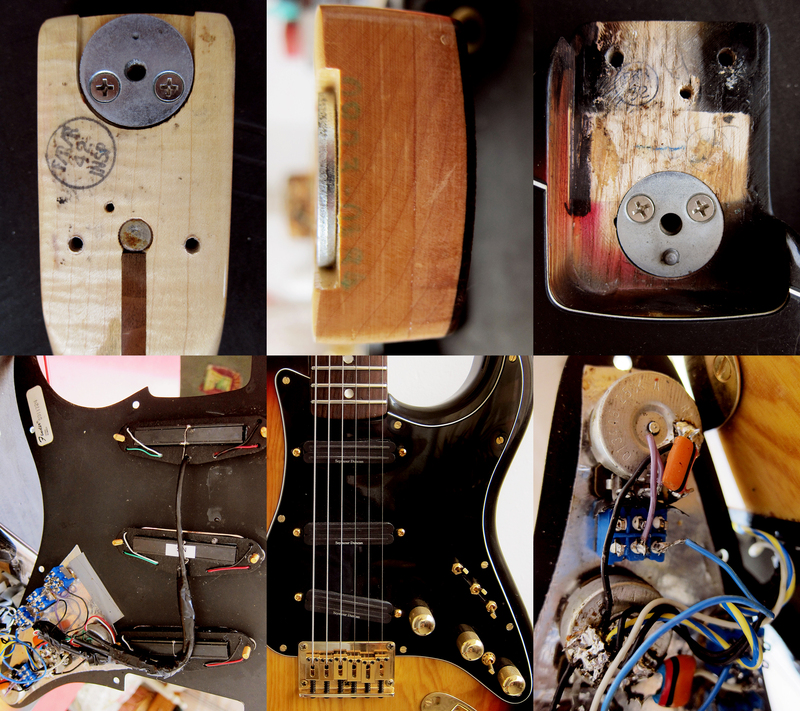 I’m glad I did because as soon as I returned to Barcelona and I could take the guitar apart I found the proof needed. Even though I really like this guitar I have it listed for sale if anyone is interested in buying it. Ideally I would have liked to find a few more stamps in the neck pocket but they have either been sprayed over or there used to be a sticker that have fallen off. The neck has a serial number on the end that points at 1978 so together with the S8 serial on the head I guess it was made in 1978. The serial number under the pickguard points at 1979, just like the original pickups. The pots are unfortunately the general CTS pots that can’t be traced and the body has been shielded, which I didn’t want to remove, so I couldn’t find any numbers there. The matching stamp on the heel and neck pocket is the quality stamp Fender used in the late 1970’s. The Seymour Duncan pickups sounds way better than I expected, a bit too hot for more liking perhaps but still pretty nice. I haven’t decided if I’m going to keep it like this for a while or return it to it’s former glory with it’s original pickups and hardware. Fender had grey bottom pickups up until 1979 and then introduced black bottoms without serial numbers in 1980. I’m not sure if the bridge pickup is from 1980 and the others from 1979 or if it has been changed sometime in the last 35 years. The 3 screws neck plate and the saddles has the correct numbers and they machine heads looks like they should too. The original hardcase is actually way lighter and easier to carry than I expected, it has grown on me even if it looks a bit plastic and 1980’s for my normal taste. 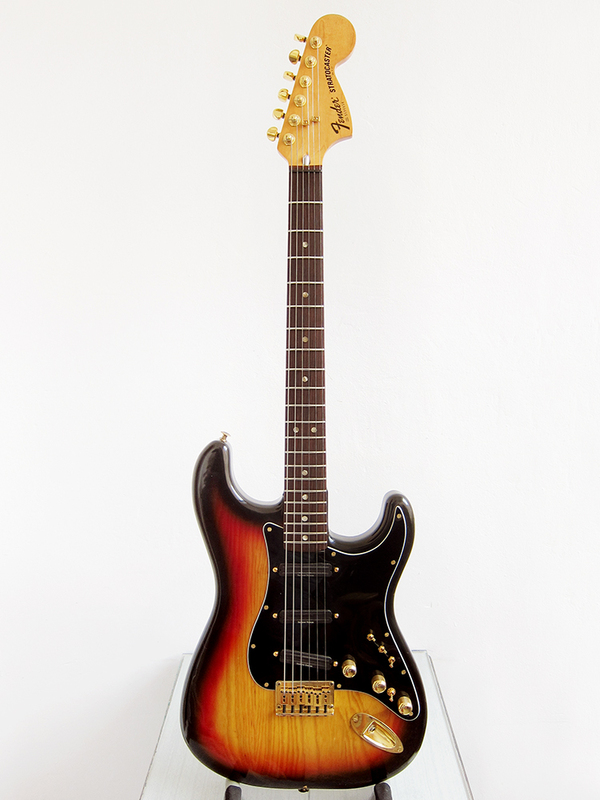 My first guitar was a Japan made 1993 Fender Squier with a rosewood fretboard and even though I prefer maple fretboards these days, there is something quite nice about a rosewood Strat. I also really like that it’s a hardtail, I never use the tremolo so I prefer a hardtail any day of the week, they feel more like a Telecaster too. 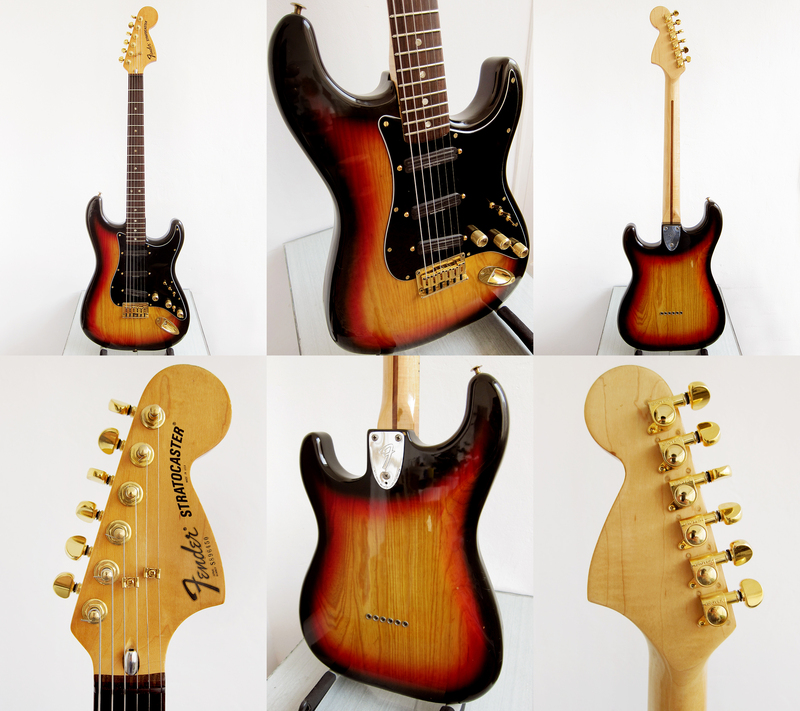 All in all, this was not only my first USA made instrument but a pretty awesome guitar on it’s own that made me fall in love with Stratocasters again. Thanks again to Dating Late 1970’s Fender Stratocasters for all the useful information.